Foreign Hedge Funds Face Critical FATCA Registration Deadlines This Month! With key FATCA reporting dates just 2 weeks away, many foreign investment and mutual funds are getting worried about their IRS reporting obligations. Much of the popular media has been focused on foreign bank accounts but funds have reporting obligations too. In order to better understand these obligations, some brief background is necessary. FATCA is the acronym for the Foreign Account Tax Compliance Act. Passed by the United States Congress in 2010, the law seeks to promote greater tax transparency and increase revenues. Although facing some worldwide criticism, many other countries, including the powerful G20 group of developed nations, are embracing FATCA’s underlying concepts. Beginning this year, foreign financial institutions must review their account base and report those accounts with ties to the United States. A hefty 30% withholding tax is the “stick” to insure offshore banks and financial institutions comply. FATCA characterizes offshore financial firms into two categories; foreign financial institutions (“FFIs”) and non-foreign financial entities (“NFFEs”). Although the regulations are less than clear, we believe that most foreign funds are properly classified as FFIs. The regulations define FFIs in part as including “investment entites.” That subgroup includes mutual funds, hedge funds, private equity funds or similar collective investment vehicles. The definition of FFI is actually so broad that it appears to include the funds’ managers too. The IRS historically has difficulty in trying to label or categorize foreign entities that really have no U.S. equivalent. That means that the information in this post is really for general discussion purposes. The takeaway, however, is that the definition of an FFI under FATCA is quite broad and that critical deadlines are about to occur. Assuming the entity or fund is an FFI, the IRS requires it to register by April 25, 2014. If the FFI is located in a country that has already negotiated an intergovernmental agreement (IGA) with the US, that entity should look to the IGA for necessary next steps and deadlines. For funds located in countries without an IGA, the fund must become a “participating IGA” and agree to collect and provide the IRS with certain data. Sound complicated? There is more. 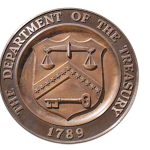 Very recently the Treasury Department announced it would provide interim relief to FFIs in countries that were close to working out an IGA. As of this writing, we have yet to see any definitions or determinations as to which countries may qualify for interim relief. If you operate a foreign fund or other investment vehicle, don’t wait another day to seek assistance. Although the FATCA regulations have been a moving target, the IRS has generally been willing to work with foreign funds and other institutions that are making a good faith effort to comply.